Two weeks ago my friend and I visited an amazing store called Scrapbooks by the Sea in Myrtle Beach. 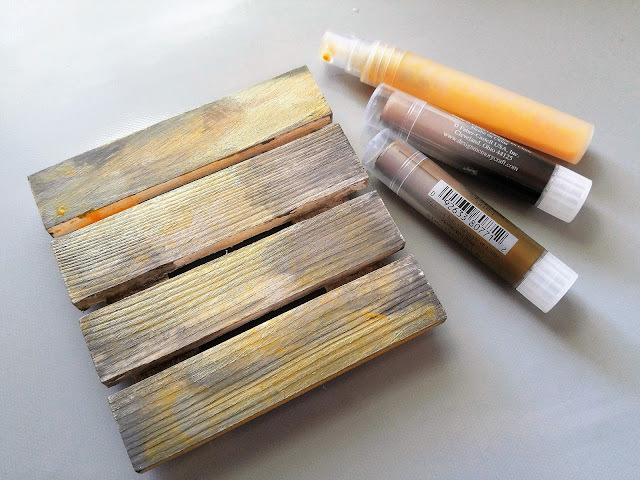 There we found these adorable mini wood pallets by Maya Road, and the store owner said "We'd love to see what you make with those!"... so this was my challenge to myself! Use those darn wood pallets! 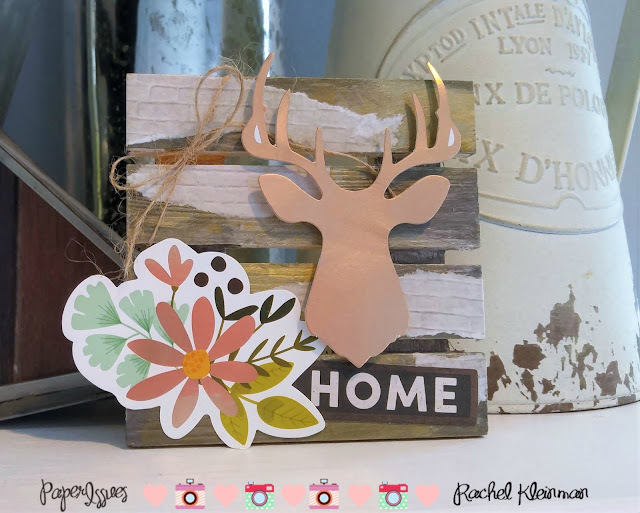 I used the 4"x4" pallet to create a mini home decor piece for my autumn mantle. 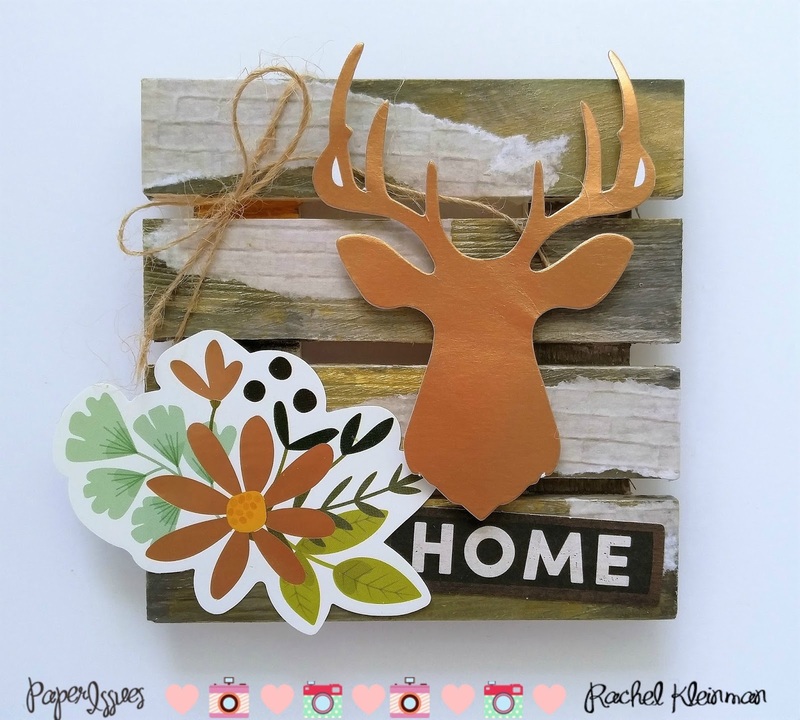 This project is also created for the August Mix it Up Monday Challenge at Paper Issues - ANYTHING GOES! I started by Gesso'ing my pallet, then coloring the wood with Gelatos in Ice Coffee and Gold Champagne. Then I generously sprayed it with my Orange Soda Gelatos mist that I created. 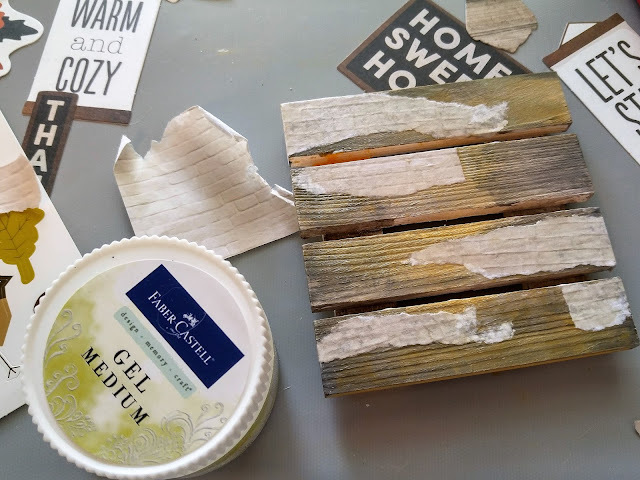 This helps bring in some orange color to the wood that's also found in the Warm and Cozy paper collection. 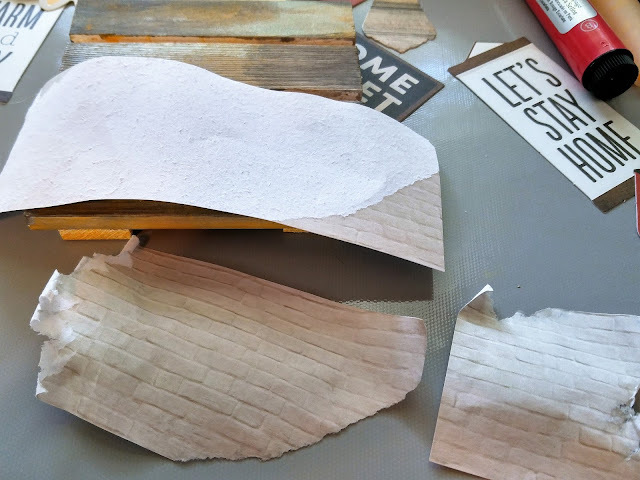 Here's a little tip for decoupaging with pattern paper: carefully separate the layers of paper in one corner, then slowly peel the patterned layer apart from the base paper. You're left with a very thin designer paper that will easily glue to whatever project you're creating! Remember to pick up all your favorite paper crafting goodies (including Warm and Cozy) at the Paper Issues online store! 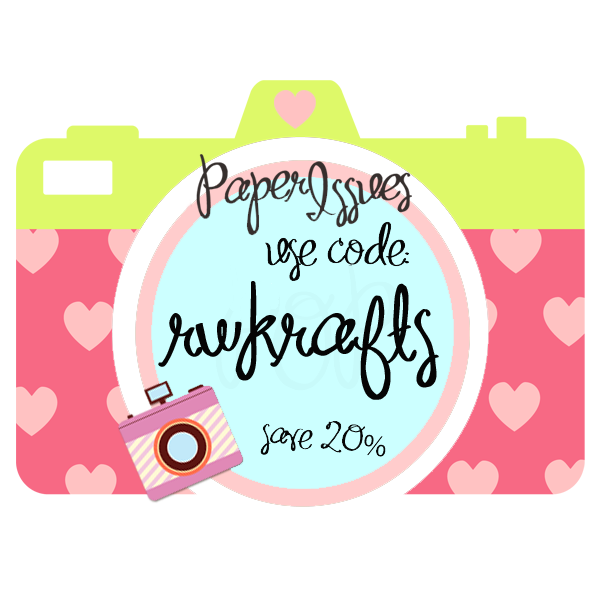 Use the code RWKRAFTS for 20% your ENTIRE ORDER! WOOHOO!